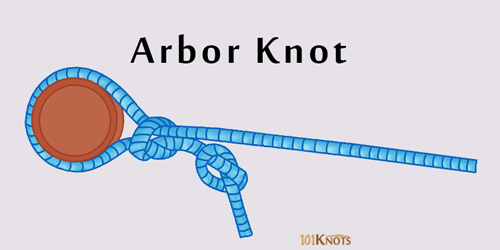 The primary use of an arbor knot is to secure the line to the spool of a fishing reel. It could be a spinning reel, fly reel or bait casting reel. It is helpful while anchoring backing to the reel arbor for big fishes. 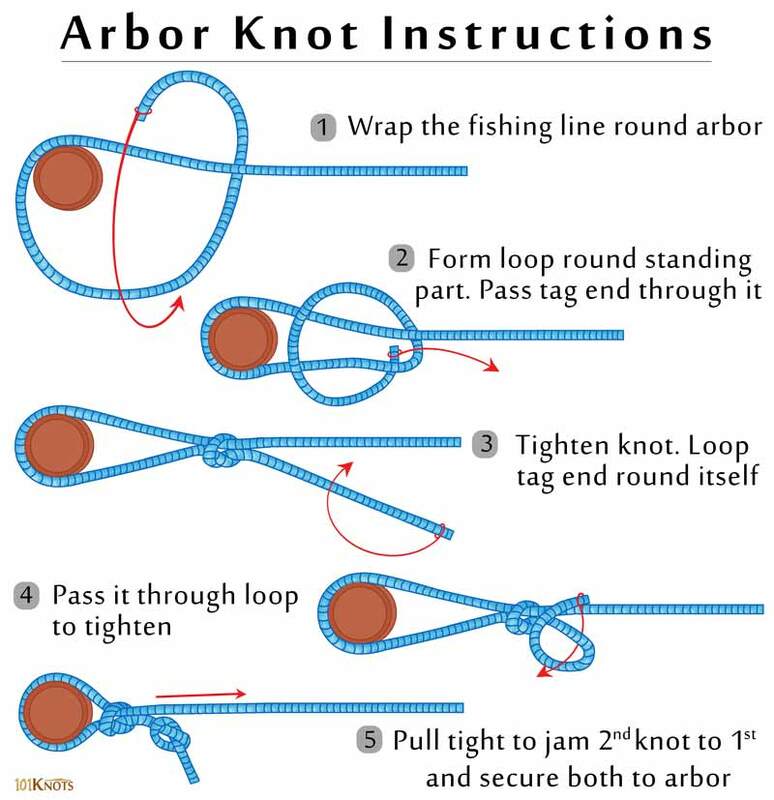 The knots made in steps 3 and 5 are known as overhand knots. The second overhand knot prevents the line from slipping through the first one. For increasing friction on highly polished reels, some fishermen wind the line 2-3 times round the arbor before making the first knot. The line should be turned as though tying a tensionless knot, that is, the wraps should tighten on rotating the reel. Simple to tie and effective. Does not slip while winding the fishing line onto the spool. A good choice for fluorocarbon and monofilament lines. Can be used with braided superlines or unifilaments only if the spool is non-slip and braid-ready.